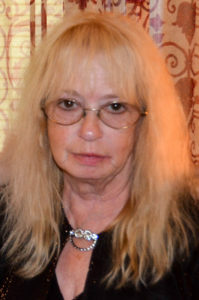 Sunday, February 4, 2018 ~ 1:00 p.m.
Patricia May Smith, 68, of Ashland, NE, died Wednesday, January 31, 2018 at her home in Ashland, NE. She was born June 25, 1949 in Kearney, NE to Robert and Lenora “Maxine” (Webster) Lieb. Patricia attended Wilcox School and graduated from the University of Nebraska in Kearney with a bachelor’s degree in Criminal Justice and Psychology. Patricia was married to Eddie Smith and they had twins, Nikki and Carmen. She was married to Bill Terry and of this union they had one child, Joy. She was married to Louis McClain Jr and of this union two children were born, Louie and Tasha. On June 28, 2002, she was remarried to Eddie Smith in Wray, CO. Through the years, Patricia managed the Elks and Legion Clubs, bartended at the Brown Derby, worked at BD as a security guard, and painted houses. She most recently cared for kids in the Foster Care program. She enjoyed playing games on her tablet, gardening, ceramics, reading, puzzles and crossword puzzles. She also loved to fish, watch football, and spend time with her children and grandchildren. She is survived by husband, Eddie Smith; children, Joyce Arlene Antillon of Lincoln, Latasha Laray McClain and husband John of Centerville, VA and Louis Milton McClain III and wife Christina of Ashland, NE; grandchildren, Dakota, Daniel, Dylan and Sierra McClain, Chris McDermott, Shaun Cohen, Cassandra Gerih, Damien Beckman, Jenna Antillon, Desirae Young, Isaac and Eli Helleberg, and James McClain; great-grandchildren, Conner, Nevaeh, Alexis, Maddison, Cailey, Kylie, Dayton and Brealynn; brothers, Larry Lieb and Leroy Lieb and wife Kay. She was preceded in death by parents, Robert and Lenora Lieb; sister, Ruby Bowman; brother, Robert “Bobby” Lieb; twin children, Nikki Lee and Carmen May Smith.